Red Dead Redemption 2 Wildlife Detailed | Nerd Much? Rockstar Games has provided some fresh Red Dead Redemption 2 details for us today. 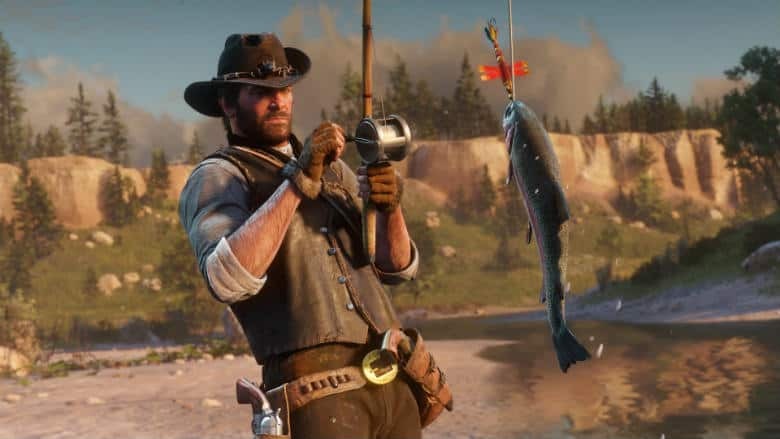 Specifically, the developers have broken down the impressive Red Dead Redemption 2 wildlife we’ll come across in the upcoming game. And when we say impressive, we mean impressive. Because, you know, Rockstar. 19 unique horse breeds are confirmed to be in the game. Each handles differently and have different characteristics. You can break them in the wild, purchase them from stables, or acquire them by “more underhanded means”. Rockstar compares your relationship with your horse as one similar to one with any of your gang members. Should you keep your horse groomed and well-fed, you’ll see improvements in its statistics which include stamina, performance, and handling. The studio also confirms that there are 59 different styles of coat, and a huge assortment of customizable features such as tack, saddles, horns, stirrups, and spurs. In addition to the Red Dead Redemption 2 wildlife that Rockstar broke down, Sony also announced that a PlayStation 4 bundle is coming our way next month. The bundle includes a 1TB Jet Black PlayStation 4 Pro, a DualShock 4 wireless controller, and Blu-ray copy of Red Dead Redemption 2. The bundle will go on sale alongside the game itself on October 26th.